Ninth Cohort during training at Thermofisher Scientific. From left to right; Nick Hernandez, Alvin Muliono, Daniel Ryback, Nick Elliott, Josh Sohmer, Alejandra Contreras, Hanna Storroesten, Jasmin Hamidi, Andrew Thomas and Jerry Guzman. The 9th Cohort of the Bridges to Stem Cell Research Internship Program at San Diego State University began on August 1, 2017. 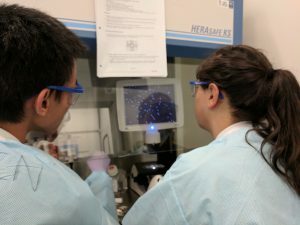 This program, which was developed to encourage participation of both undergraduate and graduate students in stem cell research, is funded through the California Institute for Regenerative Medicine (CIRM). 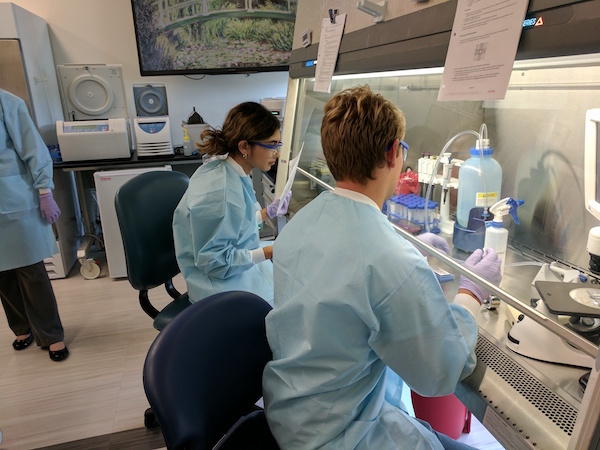 Through this program students will obtain hands-on experience in performing techniques used in state of the art stem cell research. These experiences will encourage and prepare students from the diverse population at SDSU to enter the growing field of stem cell research. The internships are a full year of study in a state-of-the-art laboratory, wherein the students develop and carry out their own research, related to an ongoing project in the laboratory. This year the students are from the departments of Biology and Biochemistry as well as BioEngineering. Jasmin and Nick feeding cells. 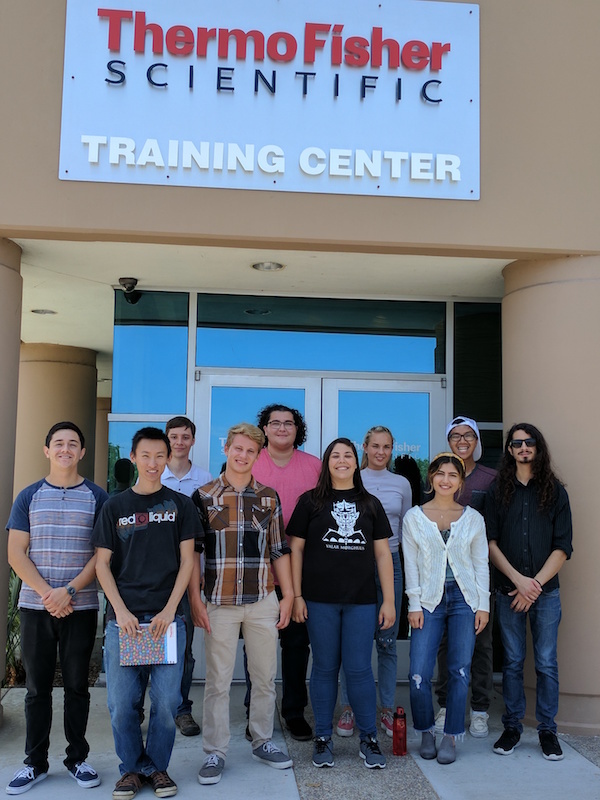 The ten students began the internship by completing a two-week hands-on course in stem cell and regenerative medicine laboratory techniques at the new ThermoFisher Scientific Training Center. Alvin and Alejandra counting cells. The students will now move on to working in their chosenlaboratories at various academic institutions, including The Salk Institute for Biological Studies, The Sanford Burnham Prebys Medical Discovery Institute and UCSD, as well as biotech companies; such as Genea BioCells and Solstice Biologics.